The menu at Kasbah is very accessible to all, representing excellent value for money. The food is hearty, balanced, authentic and healthy. With a massive selection of dishes, including loads of vegan dishes and an extensive selection of desserts - pancakes, baklava, Moroccan sweets and more. Kasbah is a reflection of Moroccan hospitality so we want to represent morocco in the best possible light from the quality of the service through to our food and decor. As soon as our customers step into our restaurant they feel like they are in a different city in a different country! It's an exotic place - the smell, the music and the decor offering a glimpse into an authentic Moroccan restaurant. As a concept we believe Kasbah to be completely unique and we look forward to welcoming you to our little slice of Morocco in Bold Street, Liverpool. 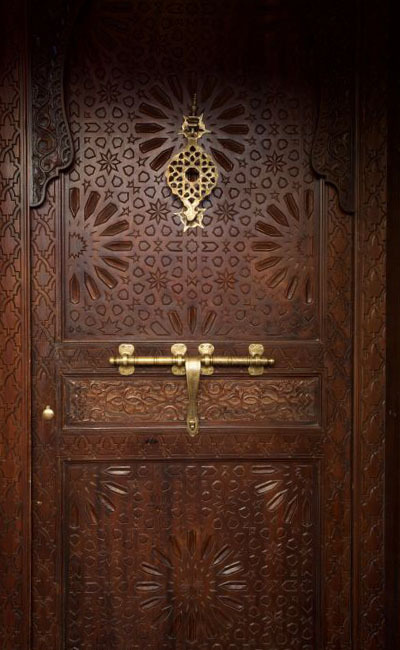 Our service reflects our Moroccan heritage and great traditions of hospitality, so we welcome all of our guests the way we would welcome guests to our homes back in Morocco. People from all of Liverpool and the UK come back again and again to our restaurant - bringing customers and welcoming people from all walks of life and religions to Kasbah is very important to us. Sit back, relax, put your Fez hat on and enjoy the warmth of Moroccan hospitality. Step inside and let us transport you to the hustle and bustle of the lively, colorful streets and souks of Marrakech. 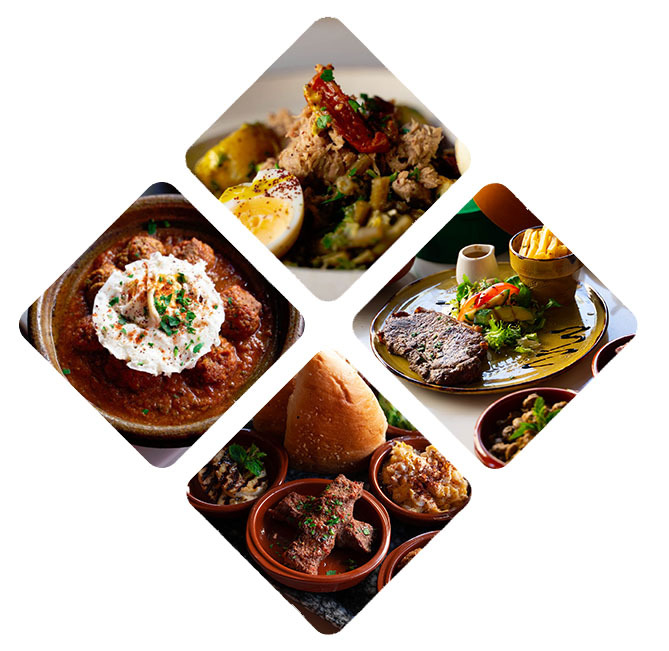 We serve a variety of authentic Moroccan dishes and fresh exotic drinks. Join us for breakfast, snacks, lunch and dinner from 10am till 10pm every day. All the furniture here is for sale. If you fancy the fittings, mirrors and poufs at Kasbah Cafe, you can buy them here. Jewelry, candles, Hanna lamps, tea sets, glassware, tables, chairs, tagines, rugs, Fez hats, slippers and even the music is for sale! The lamb was beautifully slow-cooked, soft and tender meat, thoroughly drenched in an aromatic fruity spicy sauce. There was plenty of it, too, and combined with the couscous and rice it really was a hearty meal. It was a tagine - a domed earthenware pot for slow cooking Moroccan dishes - and so it was that my love affair with north African cuisine began. Visited this great cafe bar for the second time, fantastic place for atmosphere and delicious food. Cafe isn't licensed but do try the Moroccan tea, served in authentic silver teapots with much ceremony by the staff. Food was really delicious, lots of flavours going on and lots to choose from. You can also buy any item you see in the cafe - from the fez on the waiters head to the cushions you sit on! Great fun place. Lovely food served in an wonderful cafe. We three girls had the lunch special even through it was nearly 5pm. My veg soup was delicious as were the other two (humous and cheese filo rolls) we all had the lamb tagine with couscous which was tasty, and plentiful. Great value for such lovely food. Visited for a quick lunch with a friend, can't wait to go back and have dinner there , beautiful moroccan decor, friendly staff and gorgeous food. We shared three hot tapas with a basket of bread and lovely real coffees too. All for under £15 bargain. Popped in for a quick bite - needless to say we had more than that! It was fantastic service unbelievable food and had a great atmosphere! "Great night Great Food Great staff!!!" I have eaten here on a number of occasions and have never had a bad meal the food is fantastic great portion size always hot and well presented. Staff are really helpful and pleasant and always there to help i would recommend this restaurant for any occasion. I have been coming here for about 3 years, the food is always lovely. The mint tea an lemonade is very nice. The staff are always helpful and friendly great service, love the way it is decorated. Highly recommend. Will be returning soon. Kasbah now offer a home delivery service. 2015 ALL RIGHTS RESERVED KASBAH CAFE BAZAAR.